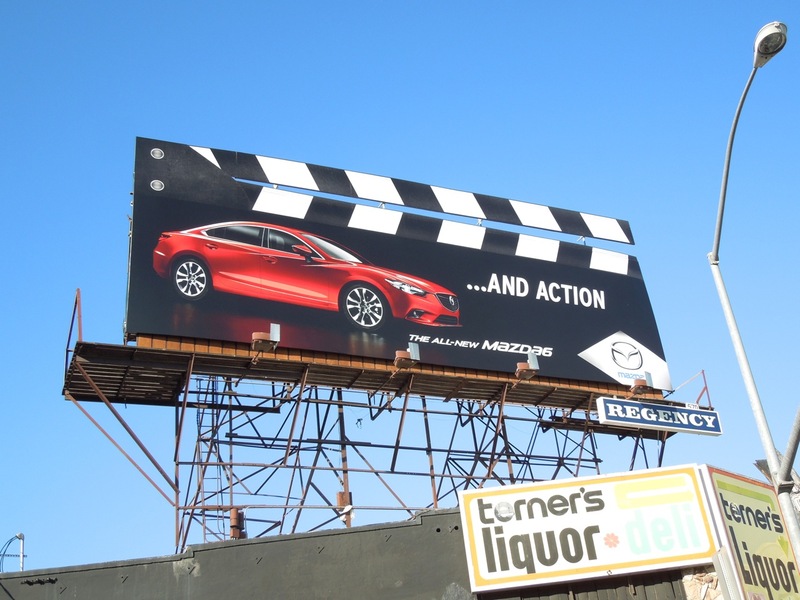 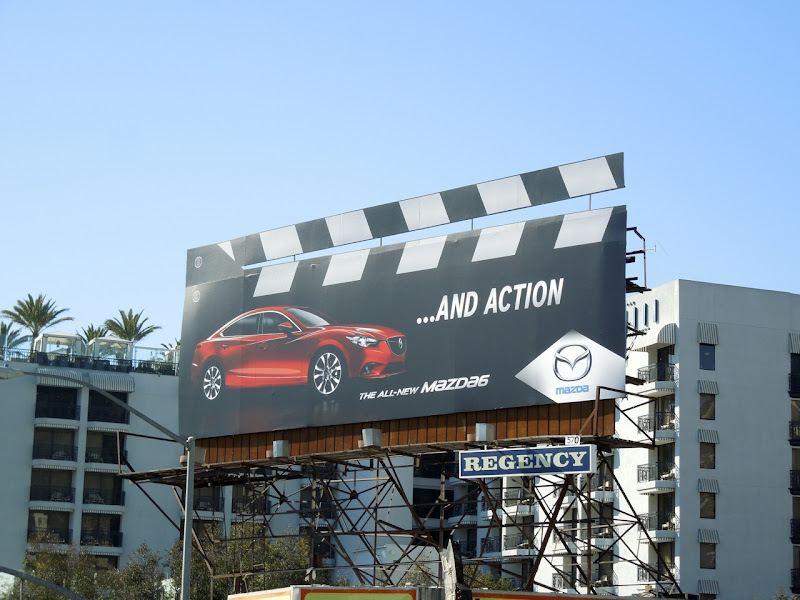 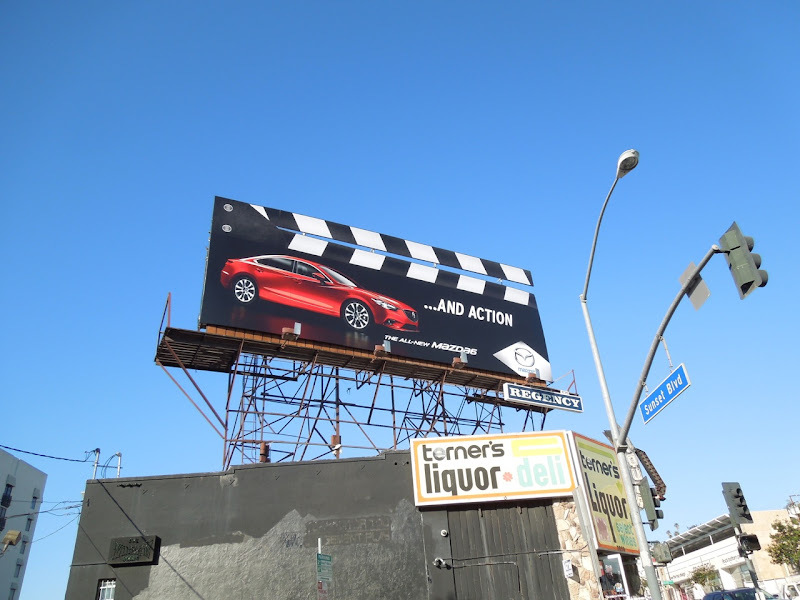 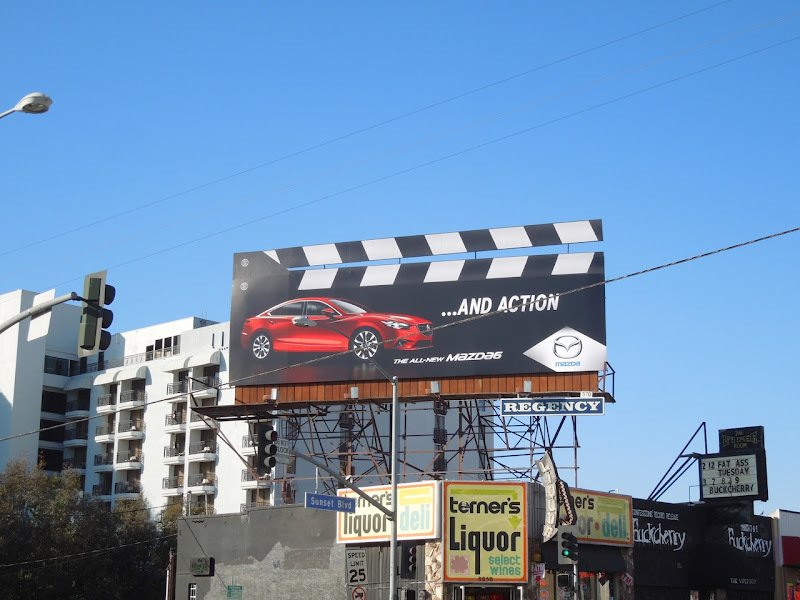 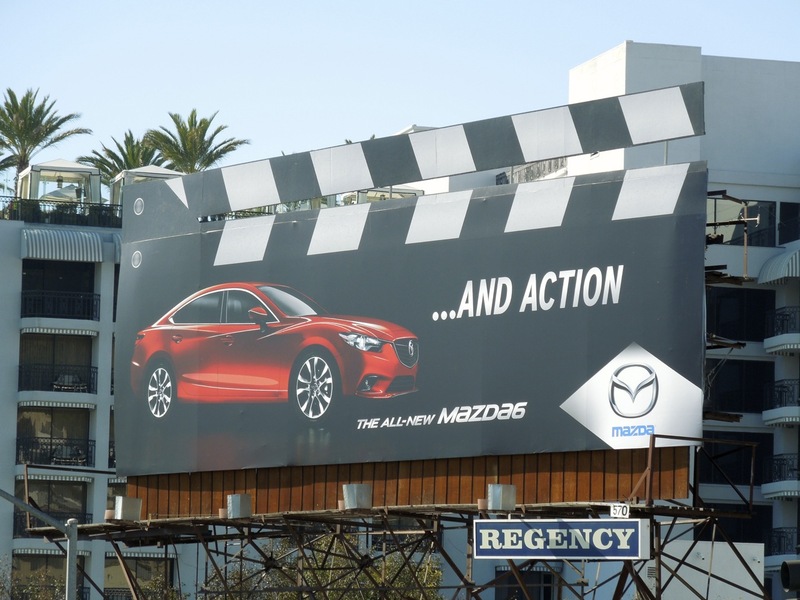 Now here's a fun way to start the week courtesy of the all-new Mazda6 and this fantastic clapperboard billboard extension. Car billboards can be quite dull at times, usually over-reliant on product shots, so it's nice to see Mazda inject some creativity into its outdoor advertising with this simple, yet eye-catching idea. 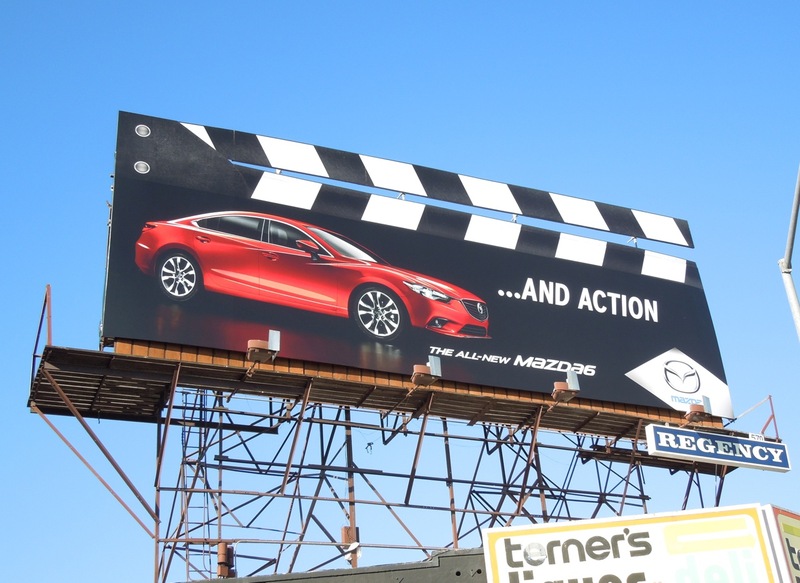 This clapperboard billboard certainly gives the new car a bit of movie star flair and drama, so it should be totally at home along L.A.'s Sunset Strip where it was snapped on February 12, 2013. 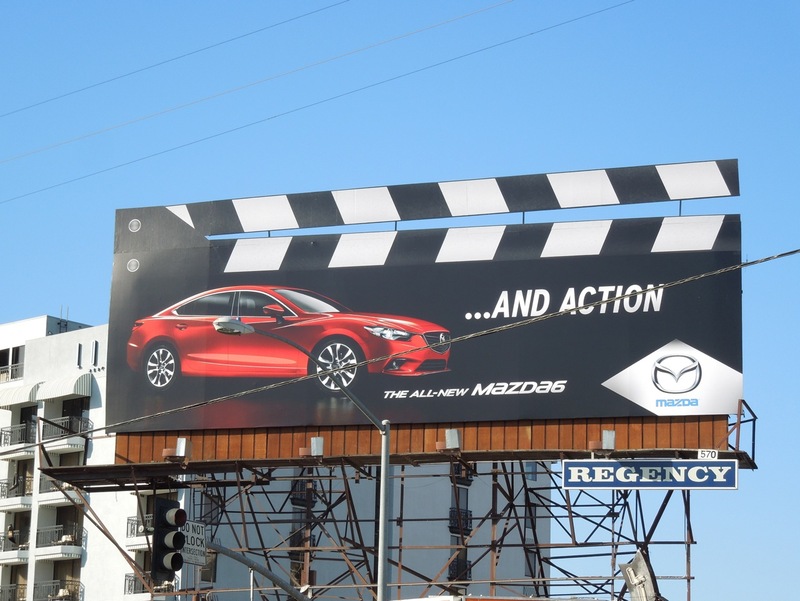 Let's hope other car manufacturers take note and up the ante with their OOH offerings in the future.